A setting like no other. Kick off your boots, turn up the music and dance all night under the stars. There's no curfew out here! 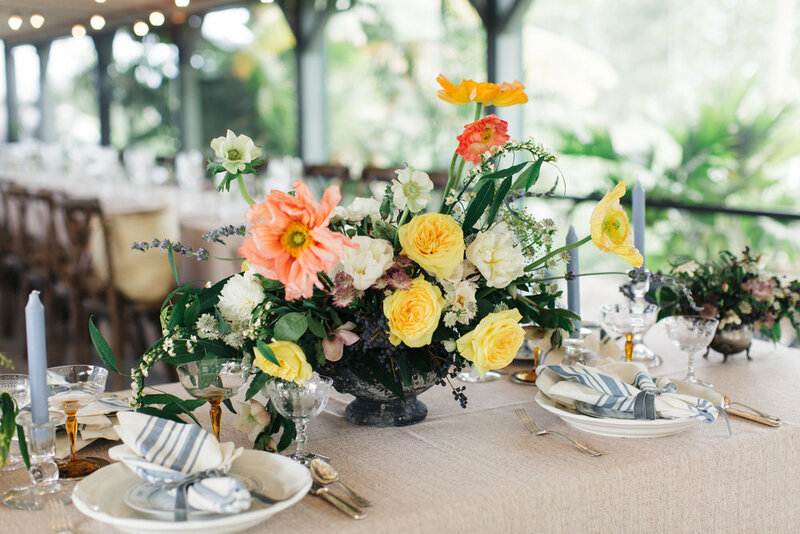 Celebrate your wedding farm-to-table style only steps away from fields of the freshest produce. 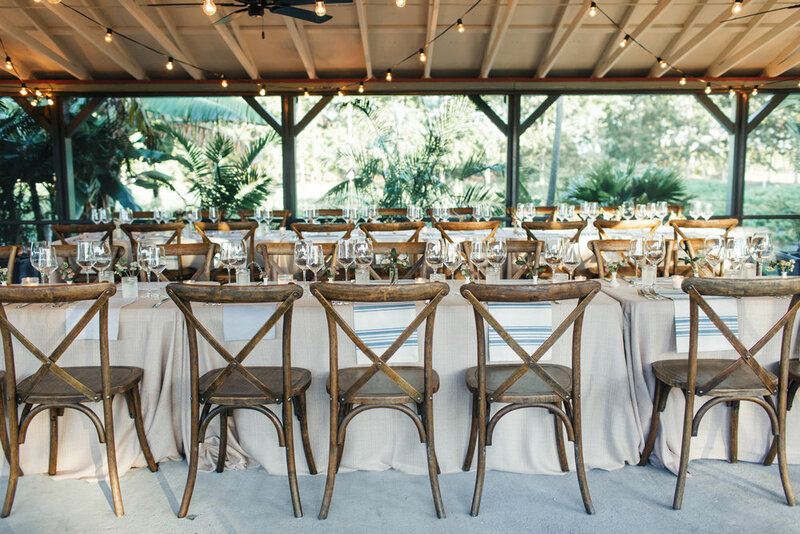 Embrace the country charm of a real Florida farm under the shade of 100 ft eucalyptus trees or our new covered and screened pavilion with ceiling fans. Floral Arrangements by Port + Palm Co.
West Garden: 1-acre meadow surrounded by towering eucalyptus complimented by a food service pavilion. Sidewalk adjacent to fields of garden vegetables and bamboo links East and West Garden hospitality sites.